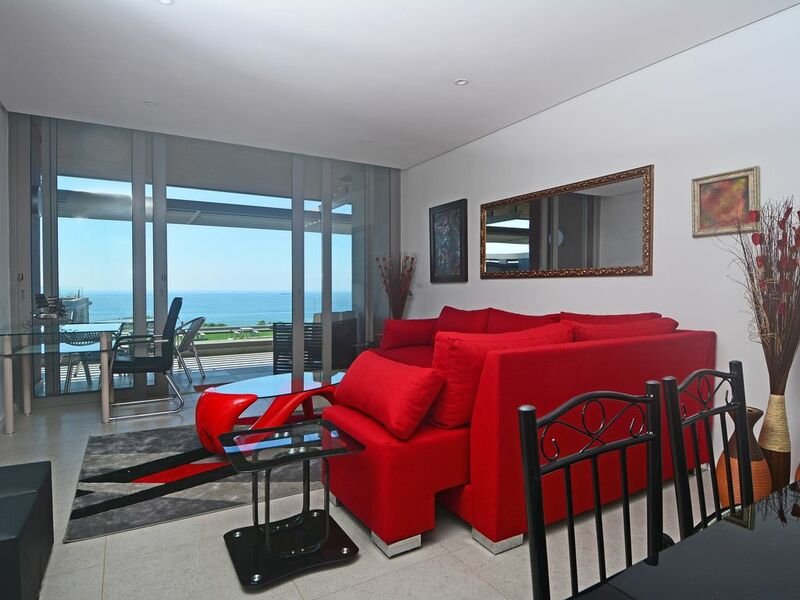 Situated on the north coast, just minutes from the resort towns of Umhlanga and Umdloti, this exclusive, family-friendly rental blends beach and forest living with a variety of deluxe amenities both inside and out. Enjoy sophisticated decor, modern appliances, and a furnished balcony with an ocean view, as well as a shared, rooftop pool, walking trails, and a picnic area. (Only 6 Adults, please). Two miles up the road, walk the sands of South Beach where you might spot passing dolphins and whales just off the shore. Eight miles south, the town of Umhlanga boasts restaurants, upmarket shops, the unique Whale Bone Pier, and even more worthwhile beaches. Closer to home, the Sibaya Casino and Entertainment Kingdom offers adult gaming, dining, live entertainment, and even fun-filled areas for the kids. * Please note that all transactions are processed in USD. Conversion rates are variable approximations. The first alarm bell was when I saw the previous guests foodstuff still in the kitchen cupboards. Their dirty dish towel was left in the kitchen. No other dishtowel in the kitchen. There were no mattress protectors or covers on any mattresses. The bedding was not clean. Towels smelt musty. The bedside unit had the previous guests dirty wipes in it. Dead cockroach and hair all over the apartment. I called on the Saturday to try and sort the problem but was told they can only assist on Monday. I found sheets in the cupboard still in packaging which I put on the one bed. The apartment and estate are lovely, it is just not being managed properly. We were very dissapointed. Once the unit was cleaned on the Monday we enjoyed the stay. We are very sorry you did not arrive to a clean home, Allison. This is highly unusual to us, and we do send staff out to address cleaning issues like this as quickly as possible if it is not too late into the evening. We are glad to see you were satisfied once we were able to get the home cleaned for you, and we greatly appreciate your patience in the matter. The perfect spoil. A home away from home.